Since the first release of our awards ceremony, the ABL has since announced that Coach Ariel Vanguardia of the Westports Malaysia Dragons is this Season’s ABL Coach of the Year. That makes me some kind of prophet. 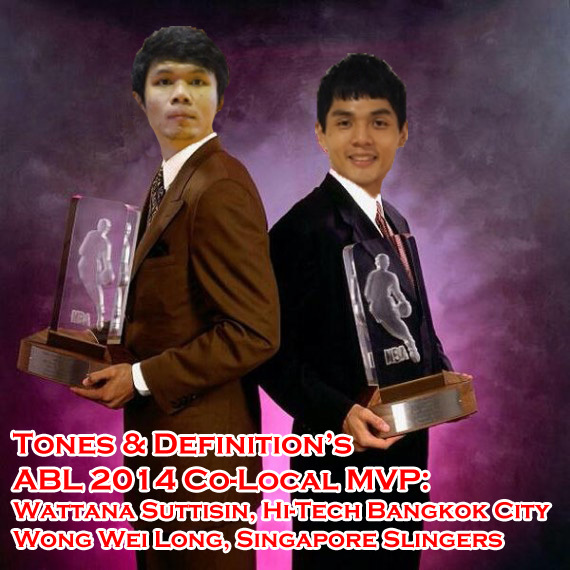 So, no more nonsense, here is the second part of Tones & Definition’s awards for the ABL Season 2014. Before you get started here, you might want to go through Parts 1 first. 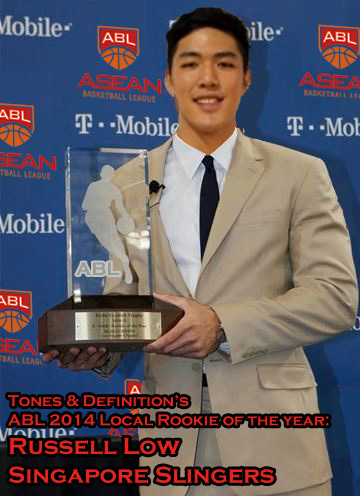 I had quite a debate in the forums of social media about pushing the ABL for a new award: the Local Rookie of the Year. Turns out that even before determining the winner, it turns out that we had to determine who was actually a local rookie first. All of the Laskar Dreya squad, were rookies. Mei Joni and Tri Wilopo were both capable scorers, but their performances weren’t good enough to overlook their team’s poor record. Andrie Ekayana put up scoring numbers that were quite high among locals, and scored the most per game among local rookies, but he played in only 10 games. I would have put more consideration into his campaign for Local Rookie of the Year, but Laskar Dreya really didn’t play that well and I didn’t get to see his performance that much. 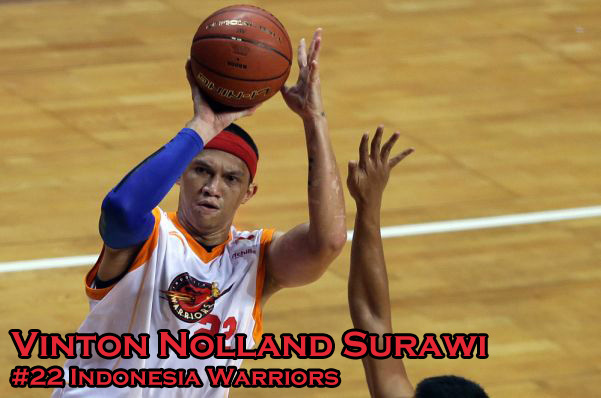 I’m unsure of the Indonesia Warriors, but Vinton Nolland Surawi is a local that demands a look at this Local Rookie of the year award. Among the 10 ten players with the most three point attempts, Vinton leads in percentage at 35.8%, meaning that while he take a large amount of three pointers, he backs it up by actually being able to hit them. Hi-Tech Bangkok city had three rookies on their roster (Nakorn Jaisanook, Montien Wongsawangtham, and Bandit Lakhan) who look to have a bright future ahead of them. Each had a double digit scoring game in this season. Nakorn and Montien are going to be sharpshooters for the future of this team, while Bandit Lakhan will be a nice point guard when the time comes. Nakorn even had a game where he saved Hi-Tech from their first loss at home against Laskar Dreya. But the two key phrases there are “for the future” and “when the time comes” as these three did not receive much of a solid role other than being a breather for the veteran heavy Bangkok City side. So no solid candidate for this award from Thailand. 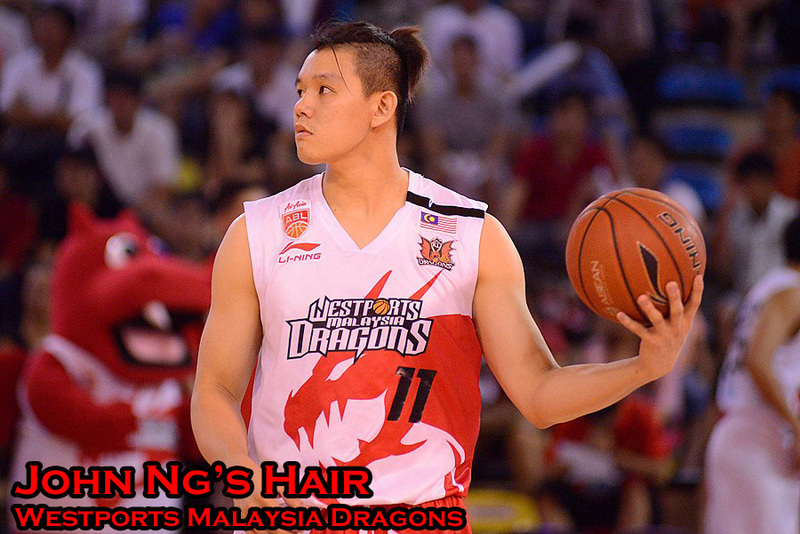 The KL dragons have three rookies, Tong Wen Keong, Yim Shen Hao, and Wong Wee Seng. While Wee Seng’s and Shen Hao’s numbers are better than Tong’s in terms of shooting, having watched quite a lot of Dragons game, I like how Tong plays on the court. He still only 22 years old and made the national team since he was 19, so he is going to be awesome for this team. But again, Tong’s awesomeness will have to wait for the future. The Saigon Heat had a bench full of rookies, most of them not getting to play much and also not contributing much as well so the Saigon Heat don’t really have anyone in contention for this award. However, that depends on the how the ABL views David Harrison Arnold’s status. Is he considered a local in ABL terms? If Arnold is considered a local, then this award is definitely his to lose without a doubt. If Arnold is considered a local, he will leads all locals in minutes, field goals, 3 point field goals, assists, steals, and points. However, if Arnold is not considered a local (and this is probably the choice that the ABL officials will take) the top contenders for the ABL Local Rookie of the Year award will be from the same team; The Singapore Slingers. The Slingers are known for their use of local players, and to see Coach Neo Beng Siang mix up rookies like Larry Liew and Russell Low in with the local veterans in his rotation makes me second guess my pick for Coach of the Year. While the ABL is getting littered with (very talented) locals who are shooting specialists, Russell is a different kind of species. A rare kind in the ABL. A kind that consists of Christian Ronaldo “Dodo” Sitepu, Brian Illad, and Sukhdavb Ghogar. The Local big man. This is a very valuable asset in the league. If you have a capable local big guy on your team in a league where most imports are inside players, it means you can afford to rest your imports a bit. 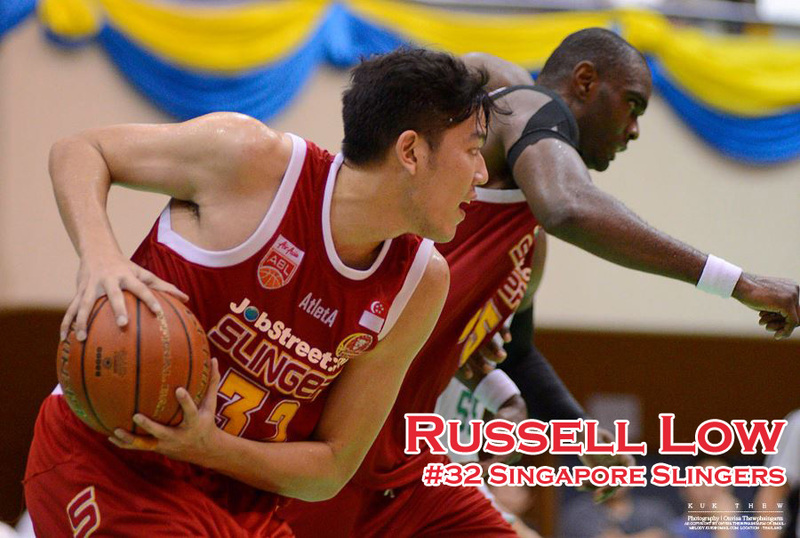 For Russell Low, he was the main big guy as the Slingers could put Dior Lowhorn at small forward and let Justin Howard and Russell bang it down low. Russell leads the locals in rebounds and blocks per game, but he is a whole lot of hustle and it’s really fascinating how young this guy is and how much more he has to develop. And by develop, I mean improve on his free throws, where he hit only 45%. However he made all of his three point attempts – a grand total of 1 – so could that be a sign of hope? This was supposed to be one of the easier award to pick, getting some comical relief after that long read about the Local Rookies. But once I got to the contenders, I got stumped as to how to select the winner. 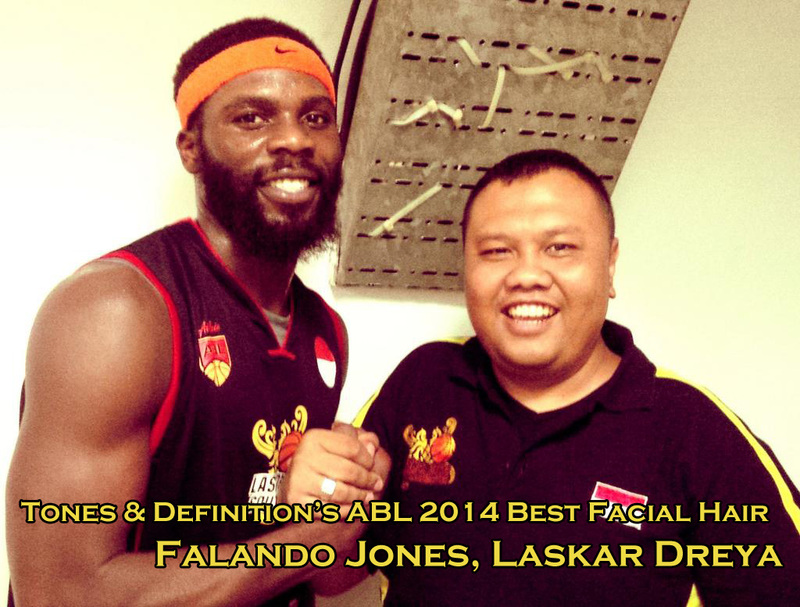 I had Falando Jones from Laskar Dreya with that Glorious Beard of his which goes along well with his signature headband. 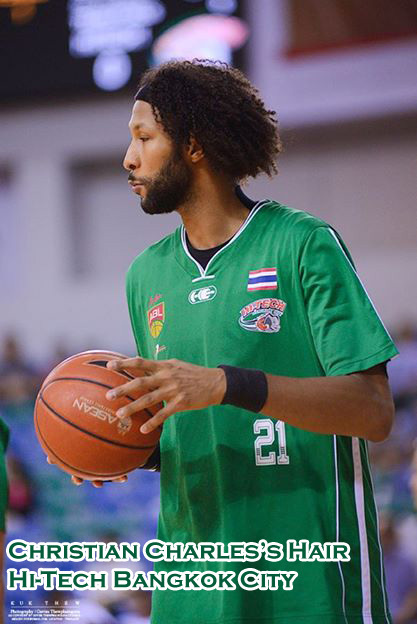 Then I had Moala Tuatua’a of the Westports Malaysia Dragons who has the cleanest beard cuts of all. And then I had Wuttipong Dasom, with his caveman style. Disappointed with Dasom’s decision to trimmed up his caveman hair at one point during the season, I decided to cut him off quickly. However, Moala and Falando were really close calls. On one hand you had a scraggy beard that looked wild, just like the way Falando Jones is. On the other hand you have a clean and sturdy beard that look really stong, just the way Moala is. 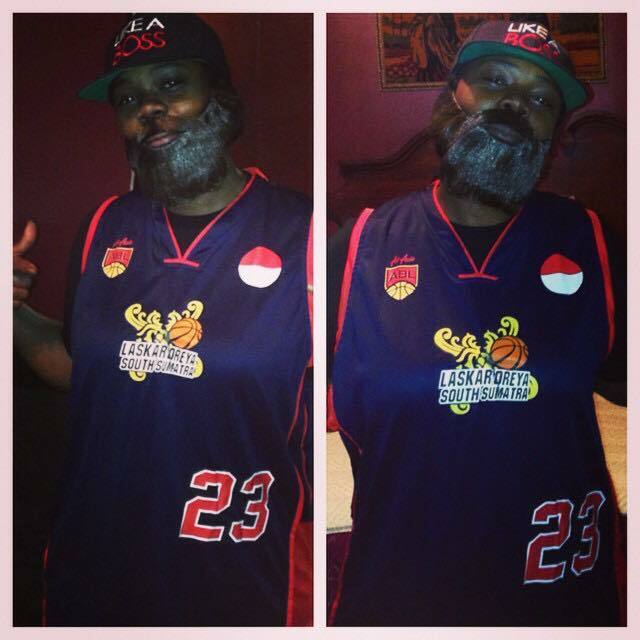 I had to boost up my decision making skills and decide to give the award to Falando Jones because his mother dressed up as her son for Halloween, complete with the beard and everything. That’s a win in my book. The local MVP is always one of the most exciting awards, with big names in their respective countries each vying for consideration looking to spark basketball interest in their respective countries. The past winners are Attaporn Lertmalaiporn, Mario Wuysang, Leo Avenido, and Asi Taulava. Since Attaporn won the award, none of the Local MVPs have been under 30 years old. This finally seems to be the year. It must be pointed out again, that if David Arnold is considered to be a local, he will definitely take this award home, without a doubt. However, for the entertainment purpose of this article, let’s say he isn’t. 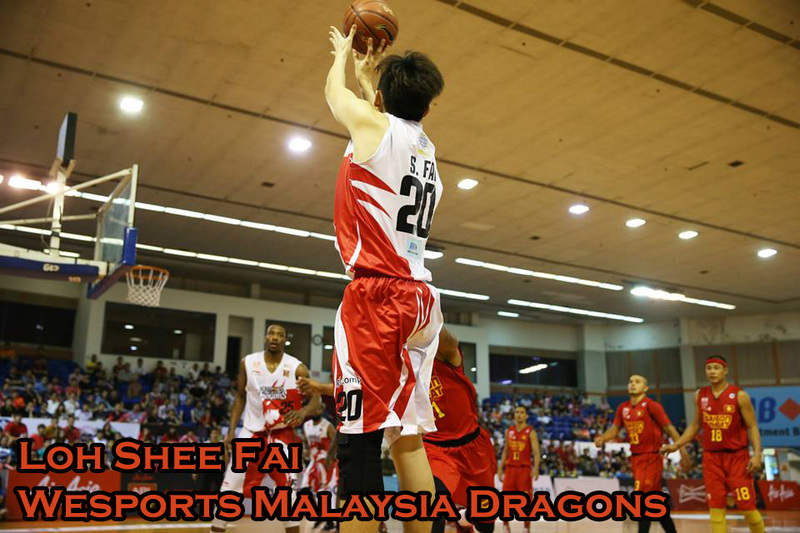 Loh Shee Fai: If I had to summarize Shee Fai in one word to fully describe what kind of player he is, it would be “shooter”. It seems like an easy way to put it, but that is really what Loh Shee Fai is about. He take the most amount of three pointers per game among locals with 5, while hitting the most among locals a well with 1.7. Both of these stats are among top 5 in the league regardless of origin. 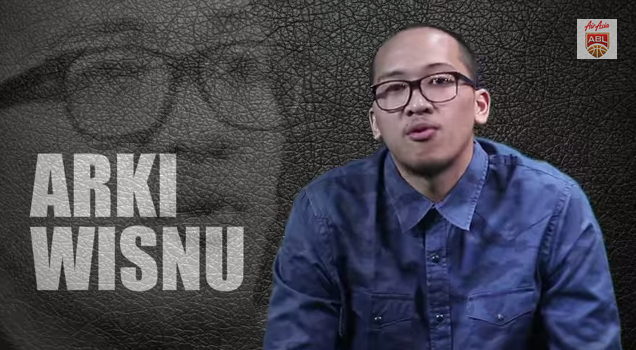 Arki Wisnu: I just wanted to throw his name in here, even though I know his 9 games played will make him ineligible for this award. However, Arki is one of the most creative players in this league and he should at least deserve a mention. Wuttipong Dasom: Dasom was my pick early on in the year, but as the season went on and Hi-Tech picked up Patrick Cabahug along with the comeback of Wattana Suttisin, Dasom’s offensive responsibilities dropped. 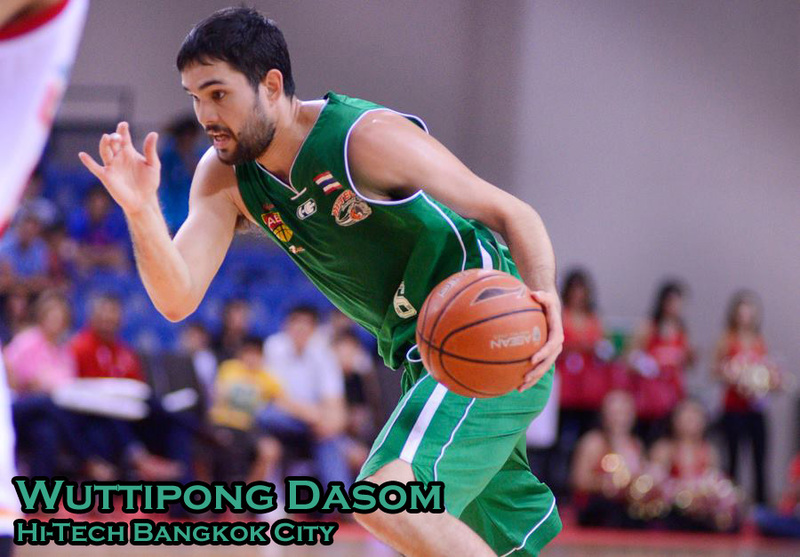 Still Dasom is one of the most versatile defenders in this league and we’ve seen him guard at least 4 positions. Dasom is a hound on defense and the go-to lock down guy for Hi-Tech. He is a capable finisher around the rim, so he should be taking less of those three point shots where he converts only 18.9%. Take this as friendly advice, don’t be the ABL’s Josh Smith. 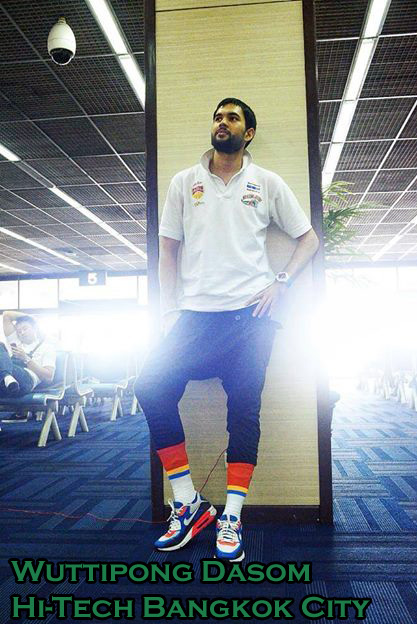 Wattana “Kanu” Suttisin: He is a pure scorer and one of the best in the league. 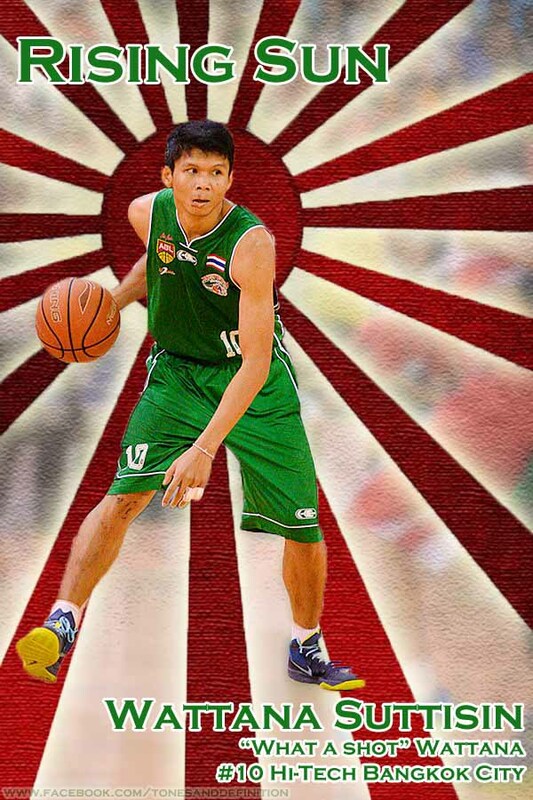 He is the most efficient scorer among locals as well. His effective field goal percentage (which accounts three pointers with more weight than 2 pointers) is 51% trails only Yim Shen Hao, who is at 60% but with less than half of the attempts that Kanu takes. Kanu’s True Shooting percentage (which accounts free throw shooting percentage with field goal percentage) is at 55% the most of any local player other than once again Yim Shen Hao. (Side note: Should Shen Hao be nominated for some sort of award for this?) In conclusion, Kanu is a pure scorer who can score in bunches (as seen from his ABL season high scoring total by a local, 26 points, against the KL Dragons) and can score very efficiently. Wong Wei Long: I used up a large part of an article on Wei Long already, and my opinion on him then has not changed. Wei Long may not be an efficient scorer, but he scores. 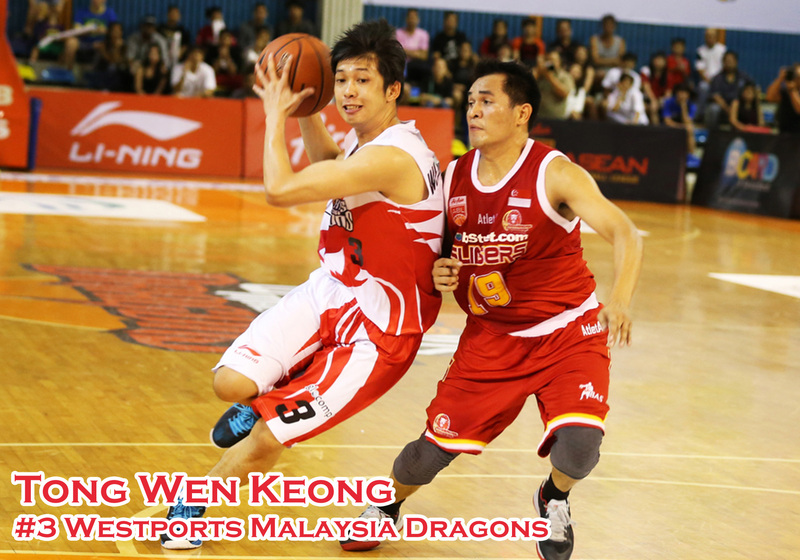 Wei Long leads the locals in points per game at 10.4 points per game. He’s also top 5 in rebounds and steals and top six in assists among locals as well. He leads all locals in minutes per game. You can also see Wei Long being assigned to the other teams hot hand, and despite being smaller than most of them, he tends to keep those guys on check. I couldn’t come to make a decision between these two. One is a very efficient scorer, ready to burn the second units of the ABL and the other is an all-around guard who is fiesty on defense. Both are very valuable to their respective teams and I feel that it would be unfair to cut one out without recognizing the other. I narrowed this list down to 4 guys. The ABL seemed to be lacking in this area a bit, but being able to come up with 4 guys from the 99 players who were on a roster at some point in this season is quite hopeful for the future. Dimitriy Guchko: This guy played only one game in this season as a stand in for deactivated Dustin Scott, but he did so with flair having a 21 point, 15 rebound game. As I write this, I can’t figure out how I left him off the contenders for best facial hair, so I’m giving him recognition now. 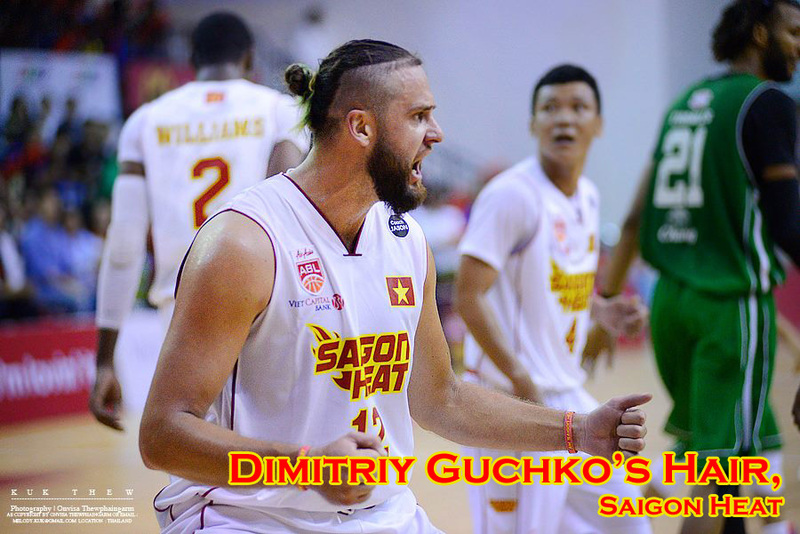 Dimitry should be expected to have cool hair, as he is a professional hair stylist in Ho Chi Minh City. That’s always a plus in this category. Christian Charles: Charles has one of the most elegant flowing hairs in the league. I love they way they move when he rips the rim down for a dunk. John Ng: I’m not a hair specialist, so I don’t know what they call it, but I’d love to call it the Samurai. 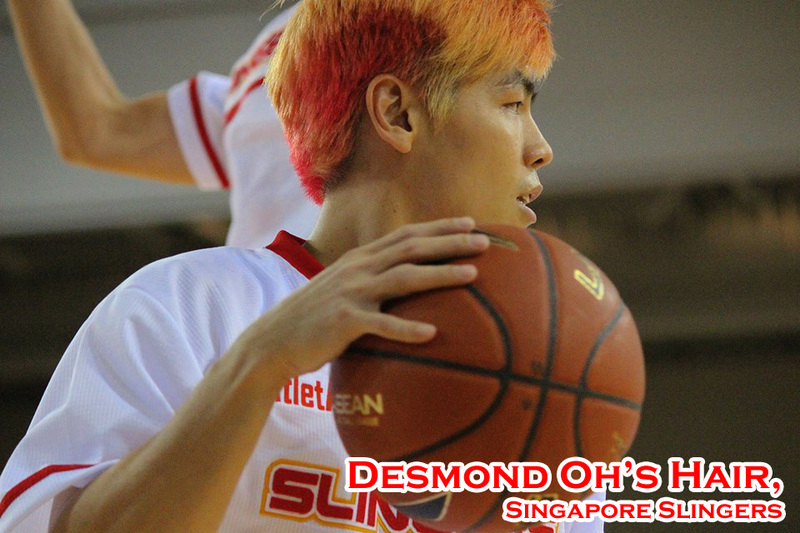 Desmond Oh: Here’s the only guy on this list who makes it not because of his style, but because of his forever changing hair color. Don’t you ever change, Desmond. Well, except you hair color. In that case, always change you hair color. Next year, we should start a pool guessing which color Dessy will die his hair to for the next game. We have one more big award left (and a couple more entertaining ones) so don’t despair if your favorite player is still not on the boards yet. There’s more to come! Stay tuned for Part 3 of our ABL 2014 Awards Ceremony. Follow this link here to the final part of this glorious trilogy. Reblogged this on Slingers Nation.